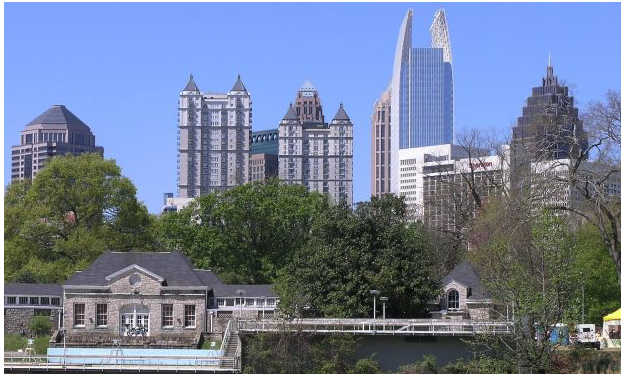 ATLANTA—Industrial Outdoor Ventures, a national real estate investment company focused exclusively on the acquisition, development and redevelopment of industrial service facilities, added two industrial assets to its portfolio. Sales prices were undisclosed. The firm acquired 2090 Jonesboro Road in Atlanta, the largest available freight terminal in the region, and a 23,460-square-foot equipment dealership facility on 5.5-acres located at 5430 Georgia Highway 85, Forest Park, GA. The deals mark the official entry into Atlanta’s active Industrial market for the rapidly growing company. “Atlanta is a target market for IOV so we are delighted that both opportunities presented themselves,” IOV COO JD Salaza, tells GlobSt.com. Zoned heavy industrial I2C, it is strategically located in Atlanta’s South Industrial submarket which is the largest transportation submarket in Southeast. It provides excellent proximity to Atlanta Hartsfield Airport, as well as to the interstate system. 2090 Jonesboro sits on 35 acres and features 123 doors, and 12,000 square feet of office space. Fully fenced and lighted, the facility was acquired from The Home Depot which used the site for lumber storage and distribution. It became excess real estate when the company got out of the lumber distribution business. In the second acquisition, IOV acquired a rare, leased facility from industry titan Ditch Witch, makers of underground construction trenching equipment, at 5430 Georgia Highway 85, Forest Park, GA. The corner property with high visibility from Highway 85 and Lee Mill road was built in 2004 and features a large outside storage area for equipment and truck parking as well as 23,460-square-foot building with 20-foot clear ceiling height, three drive-in doors and one dock platform with four truck positions. Industrial service facilities are mission critical facilities that are used to store, maintain and IOV’s seeks to acquire $100 million in assets over the next 12 months. The firm has a five-year plan to amass more than $500 million in ISF properties in major markets throughout the US.